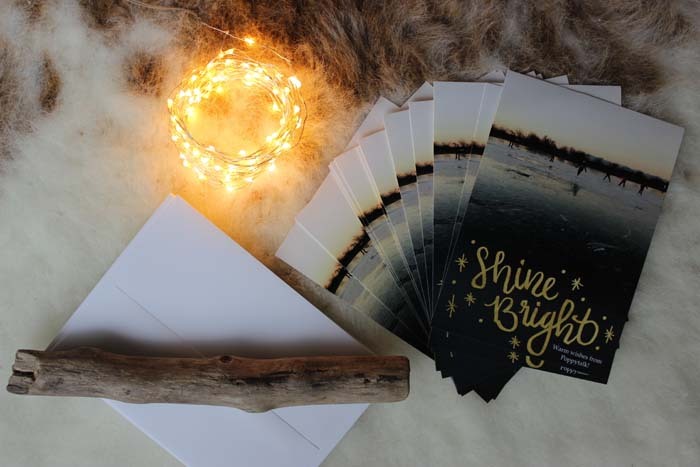 We've partnered with Staples Canada for the holiday season to offer custom gift ideas from their new Copy & Print center. 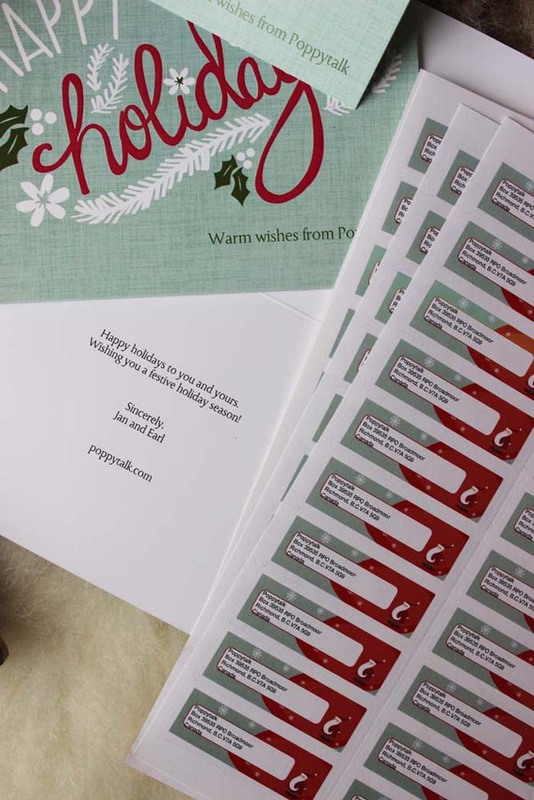 We've always wanted to order a set of customized holiday cards for the season and for Poppytalk's 10 year anniversary this year, we thought a set of Corporate Holiday Cards would be a nice touch. So we ordered and love how they turned out! We ordered two different kinds, one with an image we uploaded and the other using their pre-made designs adding a custom message inside. For the first set we used an image we took last season of a fun skating scene that appeared by surprise at one of our local parks. It's a rare occasion that it gets that cold here for the water to freeze like that and that there is even water in that spot, but last year it happened and it was so fun and magical to happen upon! So we had to make that into a postcard-style card. 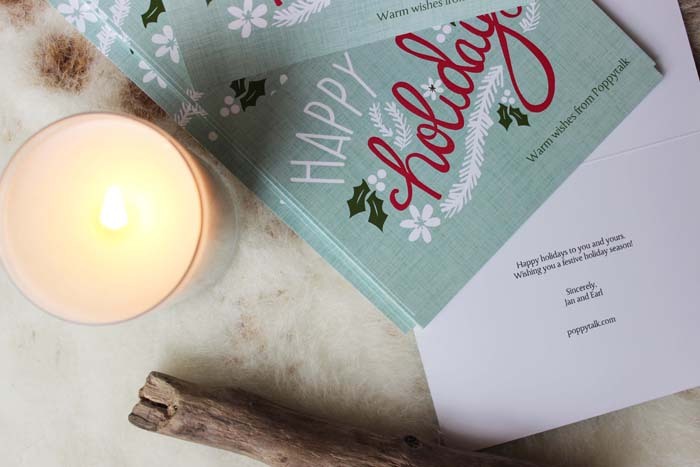 And the other, a more traditional business holiday card using one of the many designs available to choose from at the Copy & Print website, with a personalized message inside. We love how they turned out also, and ordered matching return address labels to go with them! Can't wait to send these out! 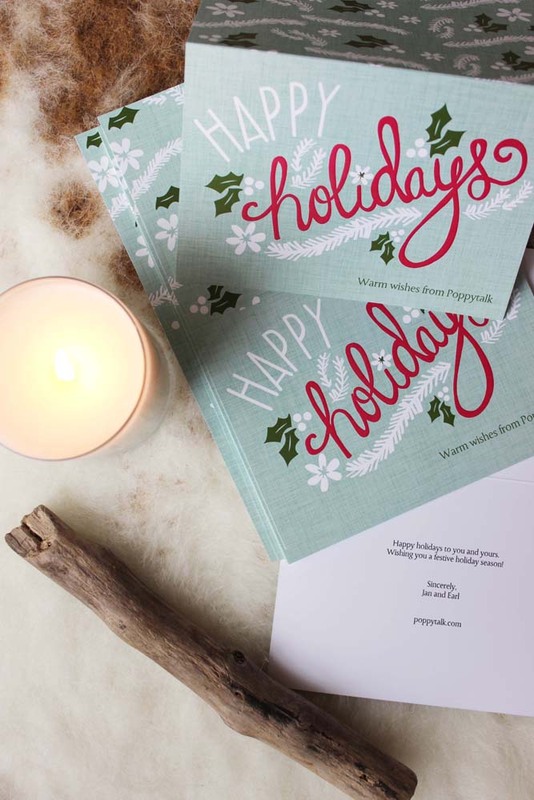 Staples has everything you need this holiday season from photo gifts and stocking stuffers to holiday cards like these! 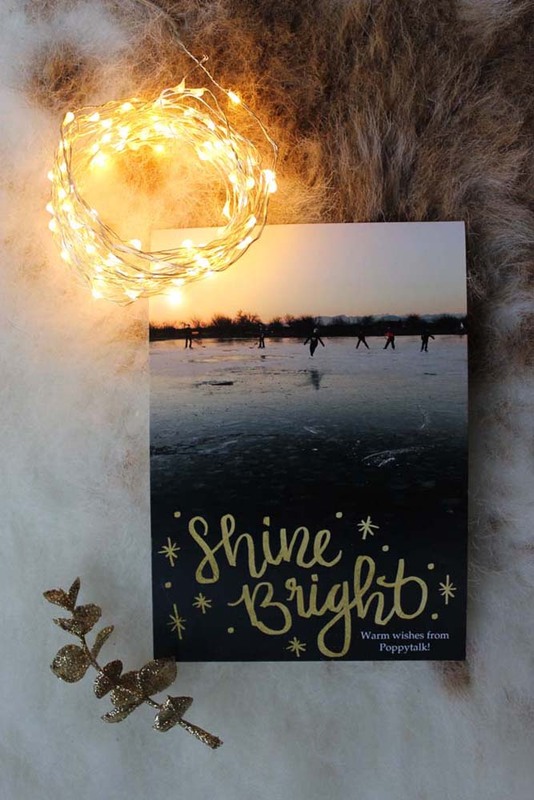 Visit staplescopyandprint.ca for more gift ideas for the upcoming holidays! This post is sponsored by Staples' new Copy & Print. Thank you for supporting the brands that support Poppytalk.